Who doesn't love bubbles? They are so much fun and a great way to end the year or begin the year...or any where in between! I love the joy on the kids faces when they make discoveries! What do you need to keep science simple? Bubbles, bubble wands or just pipe cleaners from the dollar store! RECIPE time! I like to mix up Dawn, water, and glycerin to make the perfect bubble solution. I use 1/2 cup Dawn, 4 1/2 cups of water, and 4 tb glycerin. There are recipes with sugar, too. I have glycerin in our insect kit for FOSS. We start with a bubble anchor chart...what do we know about bubbles...then we think of adjectives to help describe! I use a great freebie from Hollie Griffith on TPT. What a fun presentation for a smartboard! I use every page as an introduction to a new concept to learn. From the shape of a bubble to bubble gum! 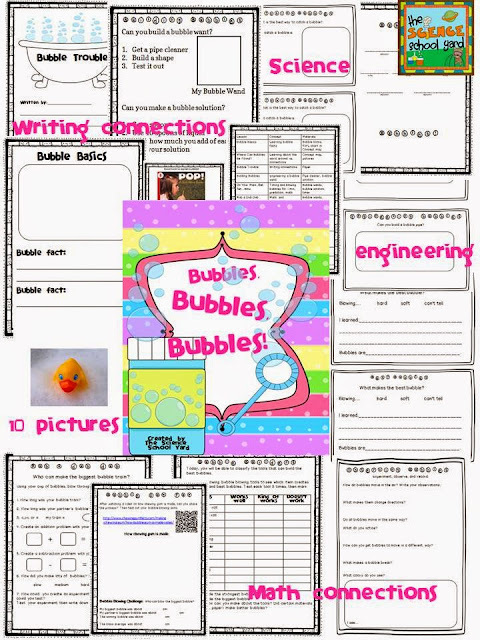 I also use my bubble pack to get kiddos thinking and using stations after we investigate the magic of bubbles. 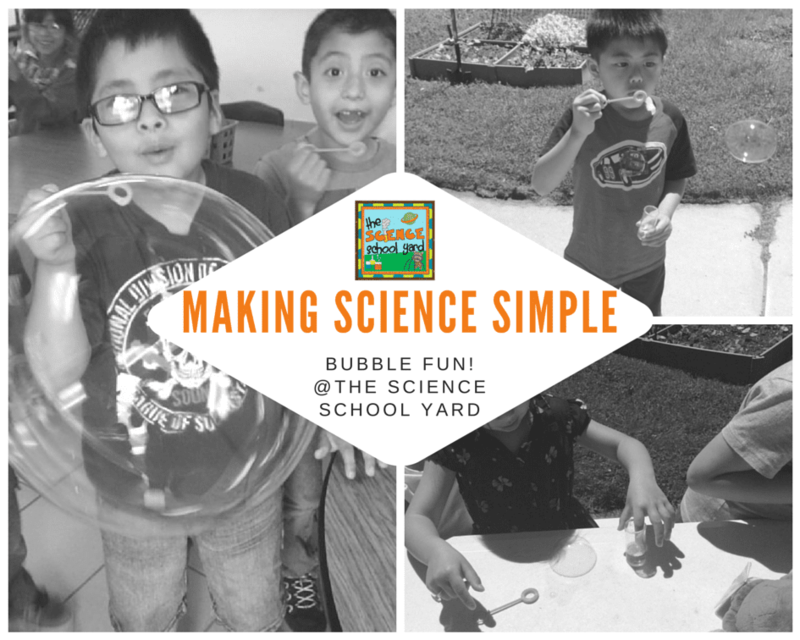 Bubbles, Bubbles, Bubbles Pack on TPT is where I dip into to help my students with some bubble reflections, observations, and extensions! I also love to play a little music as they blow bubbles! Here is a fun song for the occasion! Blowing bubbles and popping them=joy!